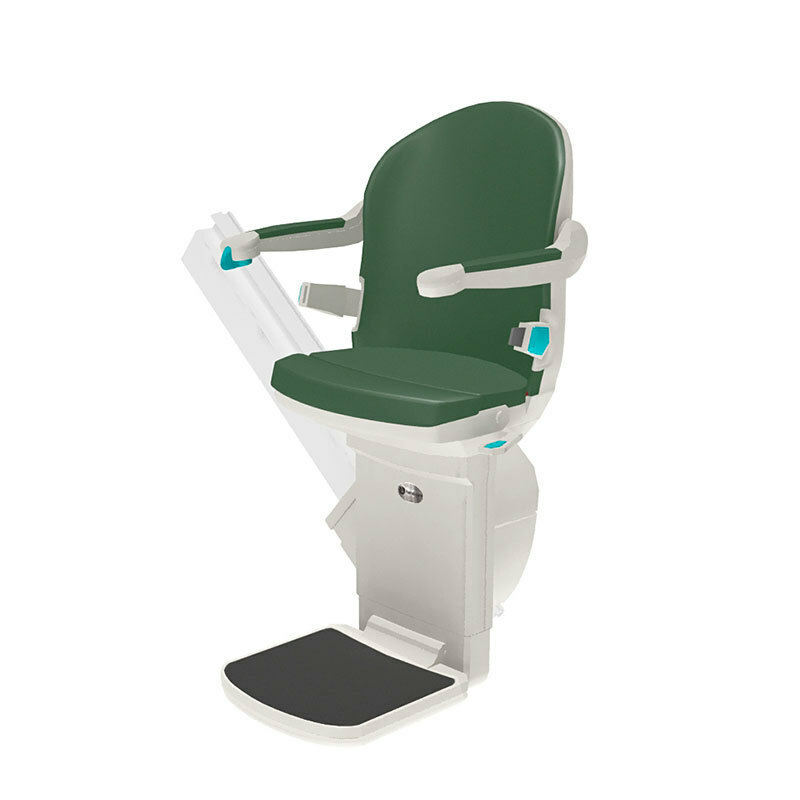 With all of the standard features of the 1000 straight stairlift, the 1000XXL provides users with a heavier duty model to accommodate wider frames and a weight capacity of 440lbs – all while still ensuring your comfort and safety are still priority. Despite its heavier capacity, the 1000XXL straight stairlift runs on a slim and compact track to maximize space on your staircase. 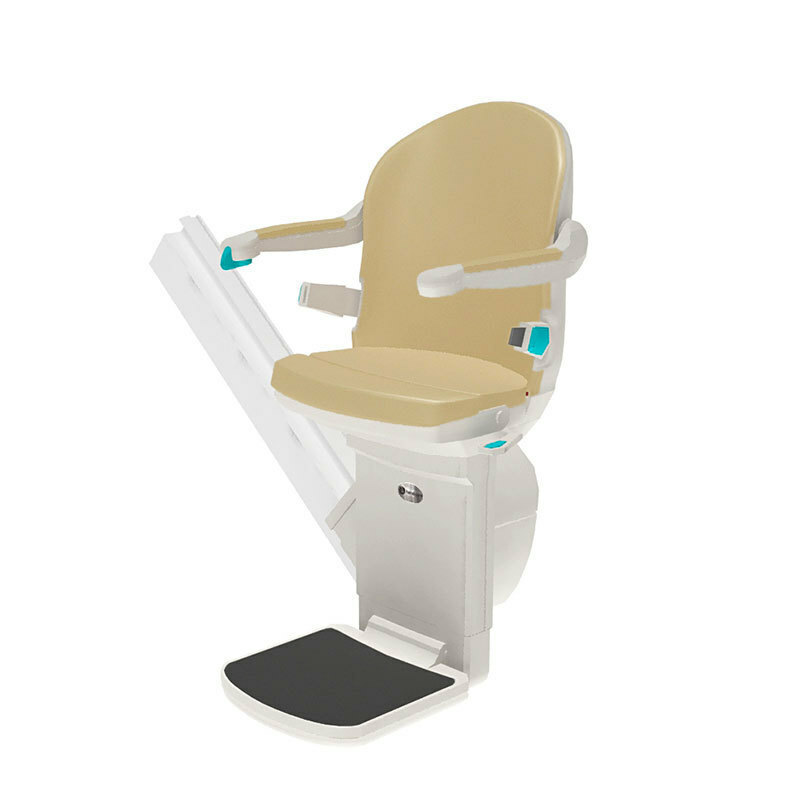 The seat and footrest easily folds up when not in use so other family members can access the stairs. 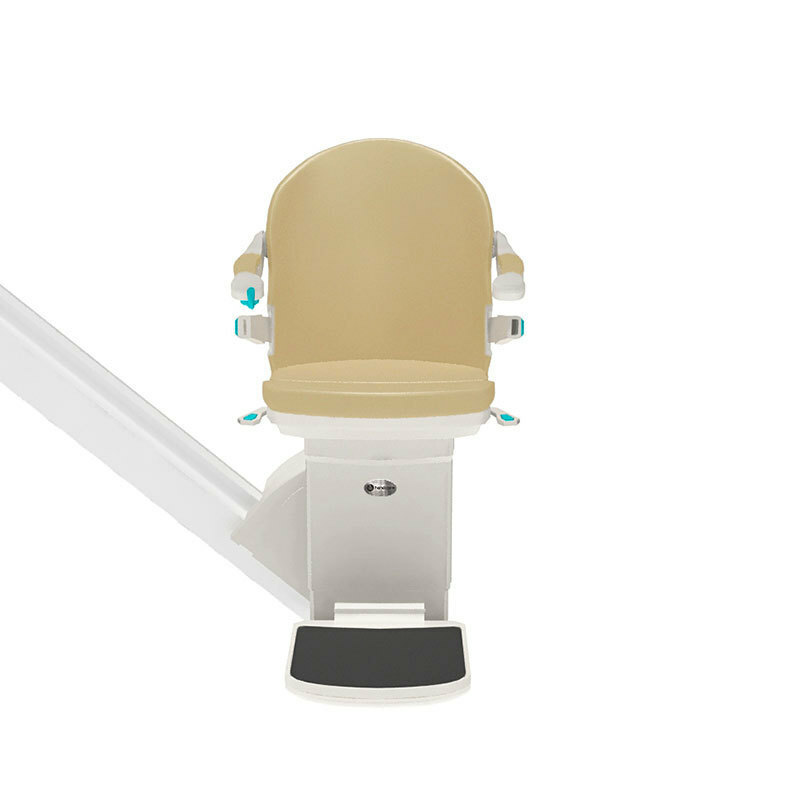 Your 1000XXL stairlift will include two remotes to allow you to send for the stairlift when not riding the lift. This is convenient for homes with multiple users or if you simply prefer to use the remote instead of the provided toggle control. We don’t believe that the seat on your stairlift is just for sitting. We understand that everyone has a unique set of needs and preferences that ensure they have a comfortable ride, every time. As a result, we developed the Smart Seat – our most versatile design that provides users an array of options and upgrades. We ensure that the seat is fitted just for you with fully adjustable settings for height, width and depth. 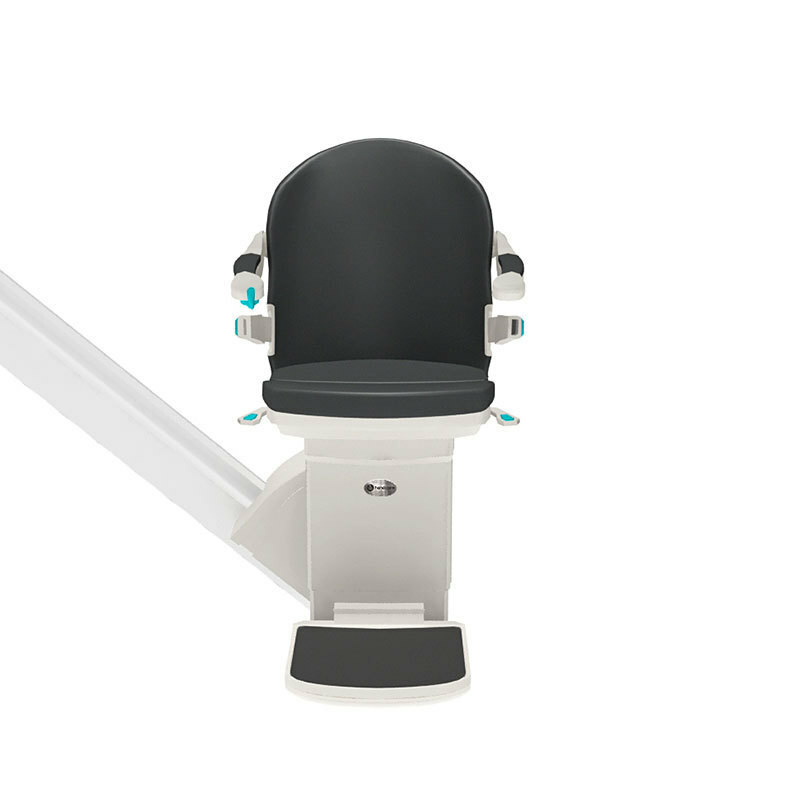 Should you prefer to upgrade to a powered swivel or attach a body harness, the Smart Seat easily allows you to do so. Easy-to-clean and maintain, the Smart seat will also look great in your home. A leather-grain finish with six color options to choose from, this durable seat is extremely easy to clean. Our popular Perch seat also muses its design off of the Smart seat. Body Harness: For those who may require extra support and stability as they ride the stairlift. Powered swivel seat: When you arrive at the top of the stairs, you will need to swivel your seat round so that you exit onto the landing safely. Powered footrest: This option removes the need for you to bend down to fold or unfold the footrest. Slim track, multiple color choices! Our economy stairlift with powered options. Our safe and cost effective solution if you don't require powered options.